Introducing Reel Asian’s new weekend hang-out spot! Introducing the Monarch Festival Hub, Reel Asian’s new weekend hang-out spot! 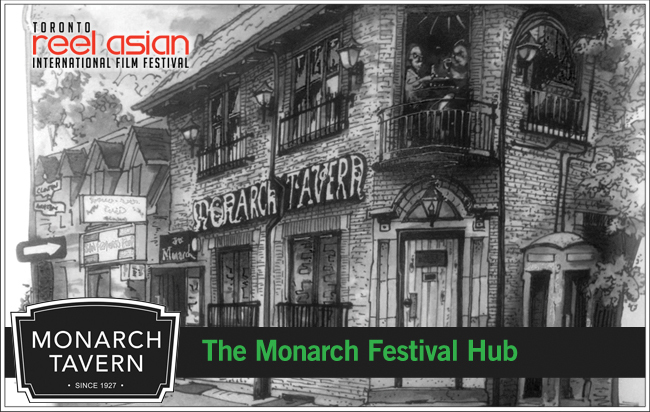 From November 9-11, 2012 the Monarch Tavern (located just steps away from The Royal) will become Reel Asian’s Festival Hub this year for filmmakers, industry guests and Reel Asian’s general audience. The Monarch Festival Hub will also be the host of our weekend line-up of special events including our Prison Dancer Karaoke Afterparty, Rum and Roti Lime, Reel Asian Uke Jam and Live on Four Strings music showcase.